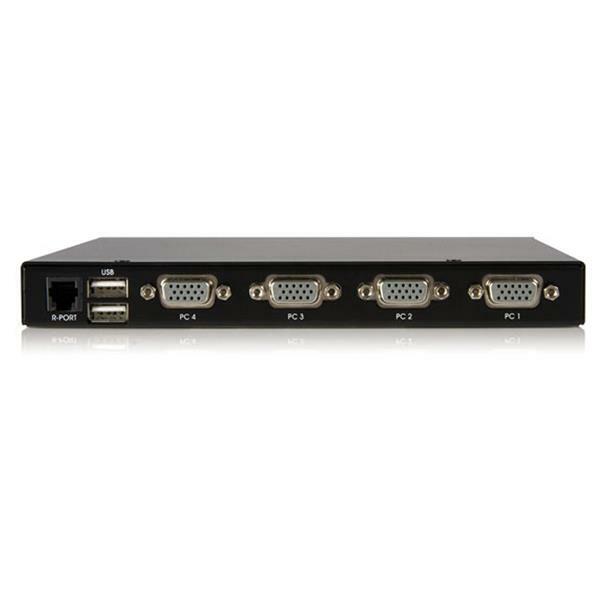 The SV441DUSBI 4 Port USB VGA IP KVM Switch with Virtual Media allows for secure local and remote control of up to 4 computers over a LAN or the Internet. 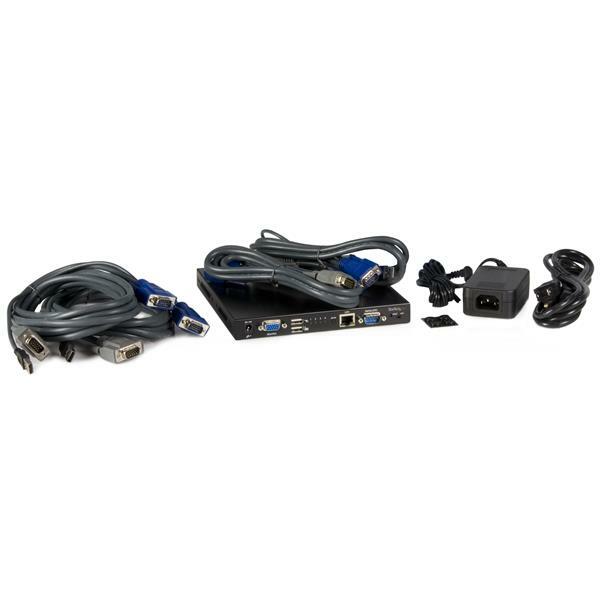 Featuring 2 additional USB ports for peripheral sharing (USB storage, CD ROM, etc. ), allowing file transfers and disk emulation for remote application and OS installs. 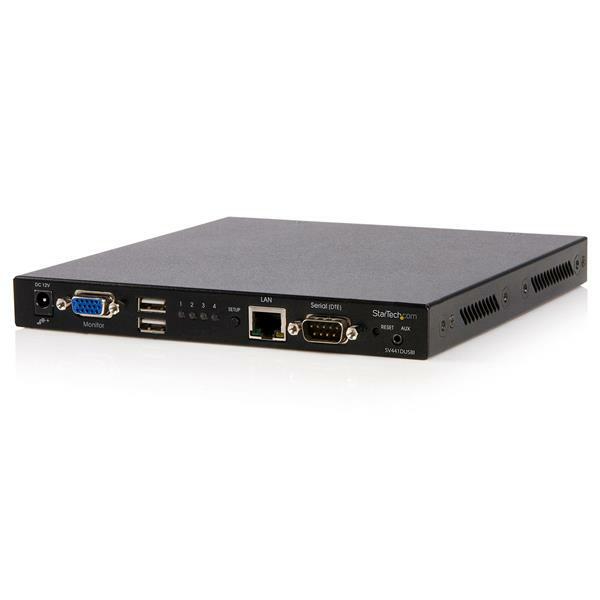 The IP KVM Switch enables BIOS level control and full boot process interaction, and includes several security features (SSH, SSL, RADIUS and a configurable firewall) to keep your network safe. 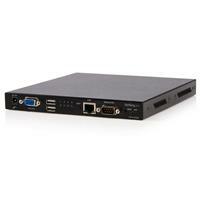 This IP KVM can interact with virtually any device that uses an RS-232 serial terminal (routers, switches, PDUs, etc. ), using the RPORT Module (sold separately). While the 1U rack-mountable metal chassis makes installation into a rack easy with the 1110EXTRACK. Note The SSL certificate provided is for testing and initialization purposes only and provides minimum strength security. We strongly recommend users upgrade the included certificate with individual SSL Certificate. My mouse is not syncing up between the computer I am controlling and the computer I am using to control it. What do I do in Windows Vista / 7 / 8? Clear the Enhance pointer precision check box. In the KVM Bribar menu, click the Mouse Re-sync option. My mouse is not syncing up between the computer I am controlling and the computer I am using to control it. What do I do in Windows XP? My mouse is not syncing up between the computer I am controlling and the computer I am using to control it. What do I do in Linux? Set the mouse acceleration slider to one bar left of center. Set the Sensitivity slider to the lowest possible option. Make sure that your startup script (for example, xinitrc or xsession) contains the line xset m 0/0 0. Perform a mouse and PS/2 or USB re-sync. Make sure that the screen resolution (even in text mode) is at least 1024 x 768. Resolutions that are less than that can cause the mouse to not sync, no matter what is done. In Linux text-mode, setting kernel flags in your boot loader (for example, GRUB) will help to set this. I am using a computer running Linux in text mode and the KVM is stuck on a port. What do I do? Increase the resolution on the computer to 800 x 600 or higher. 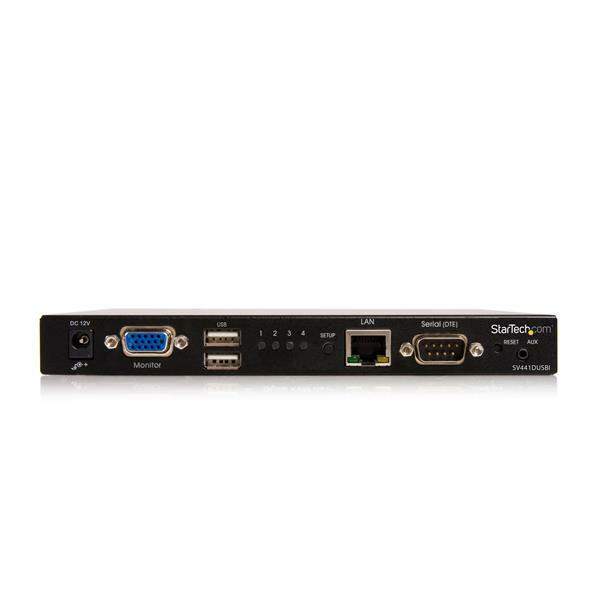 To make sure that you have the latest firmware installed on the KVM switch, navigate to the web interface for the KVM switch and if necessary, update the firmware to the latest version. If this IP KVM switch does not detect a DHCP server this device's default static IP address is 192.168.1.123. Make sure that the IP KVM switch is on the same network as your computer. In an Internet browser, enter the IP address of the unit. The default static IP address is 192.168.1.123. Note: This device has the option of enabling Dynamic Host Configuration Protocol (DHCP) during the initial setup. If enabled, the device will be assigned an IP address by your router when connected to your network. View the router's DHCP table to determine the IP address.